I know it's still November but now that the girls have both had their birthdays I am well and truly ready to embrace all things festive! I'm not one to put the tree up before December 1st but when my friends at 31DOVER.com sent me a little early Christmas present to say thanks for working with them this year, I couldn't resist getting them out straight away (and of course that meant I had to get our festive garland and a few twinkly lights out too). Yes, I am the proud owner of a set of the famous Pickering's gin baubles, which I desperately tried to get my mitts on last year but missed out on (they flew off the shelves after going viral on social media). The best bit is the they are available online RIGHT NOW at 31DOVER.com! 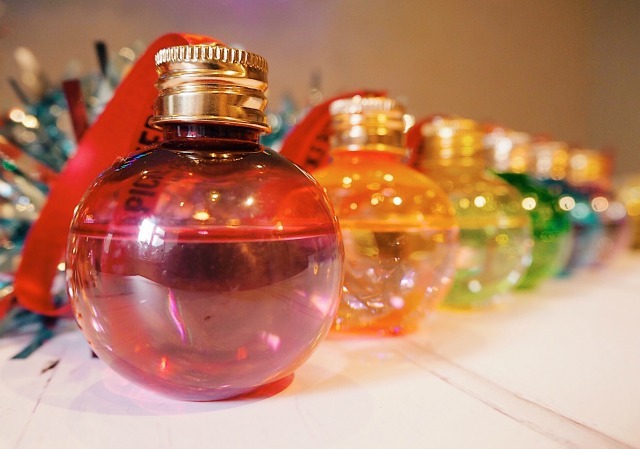 Each set contains six different coloured, hand made baubles containing 50ml of Pickering's gin (so make sure they are kept out of the reach of little people and pets!) and decorated with a festive red Pickering's ribbon. 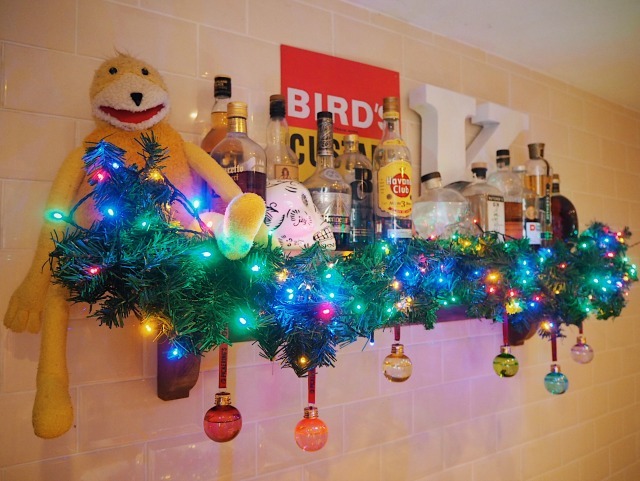 They are just gorgeous and I think make the perfect ornaments to decorate my booze shelf ready for Christmas party season! So YES! They are available from 31DOVER.com for £29.95 here, now! If you're hoping to get some make sure you order yours quickly so you don't miss out! ps Now that these decorations are up, I'm totally leaving them up.